Lambert, Maude-Emmanuelle. "Daniel Johnson, Jr.". The Canadian Encyclopedia, 27 March 2017, Historica Canada. https://www.thecanadianencyclopedia.ca/en/article/daniel-johnson-younger. Accessed 19 April 2019. 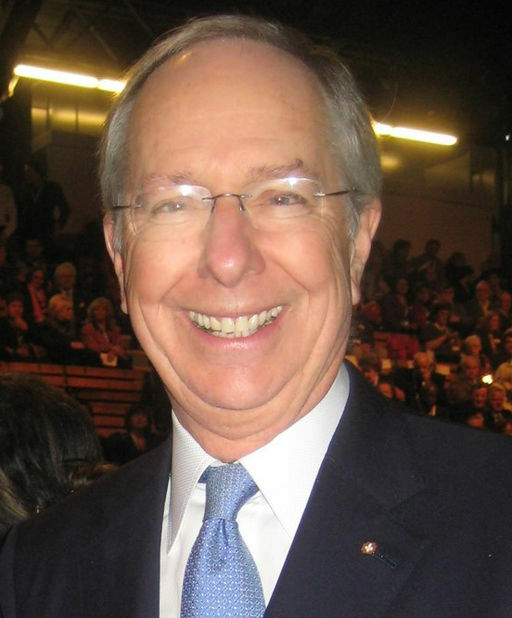 Daniel Johnson, GOQ, business leader, politician and premier of Québec (born 24 December 1944 in Montréal, Québec). 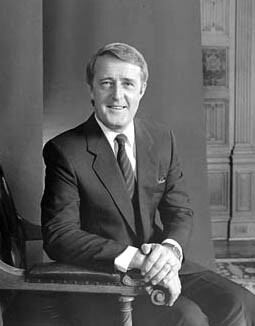 The Vice-President of Power Corporation of Canada from 1978 to 1981, Johnson also served as a member of Québec’s National Assembly for over 25 years. 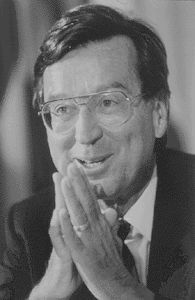 After the resignation of Premier Robert Bourassa, Johnson was elected leader of the Quebec Liberal Party, and on 11 January 1994, he became the 25th premier of Québec. However, he held on to this position for only eight months: in September 1994, the Liberals lost the Québec general election to the Parti Québécois. Johnson then served as leader of the Official Opposition for nearly three years, successfully leading the “No” camp in the Québec referendum campaign of 1995. He left politics in May 1998 and subsequently worked as a lawyer and as a negotiator for the government of Québec, while also sitting on several boards of directors. 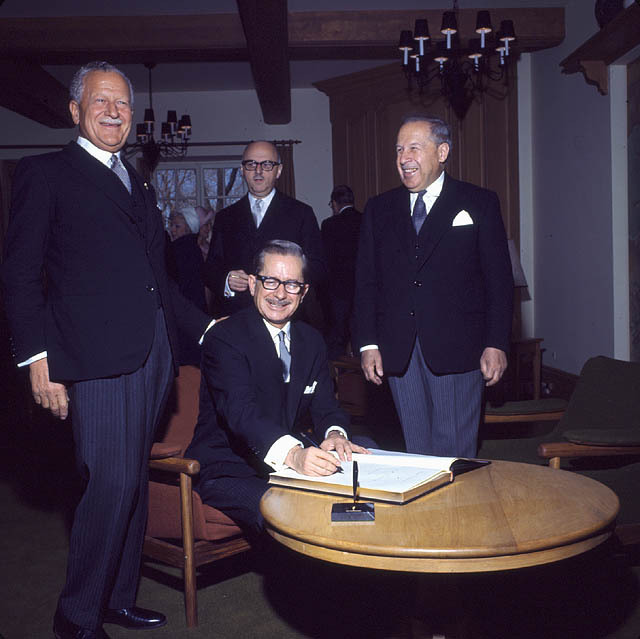 Born into a family of politicians, Daniel Johnson Jr. was the son of Reine Gagné and Daniel Johnson Sr., premier of Québec from 1966 to 1968, and the older brother of Pierre-Marc Johnson, who also served briefly as Québec’s premier. Daniel Johnson Jr. studied at the Université de Montréal, University College London, and Harvard Business School, where he received an MBA in 1973. He then joined Power Corporation of Canada as its Secretary, and he became its Vice-President in 1978. From 1974 to 1981, he served on the boards of directors and executive committees of several Montréal institutions, including the CRSSS du Montréal métropolitain (metropolitan Montréal regional centre for health and social services), the Centre Marie-Vincent, the Montreal Heart Institute, Les Grands Ballets Canadiens and the Chambre de commerce du district de Montréal. 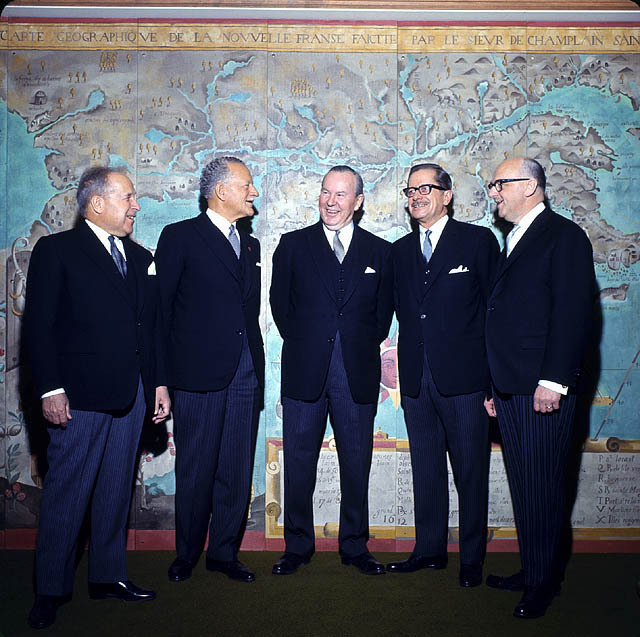 Photograph depicts the opening day at Expo 67 with Governor General of Canada Roland Michener, Premier of Quebec Daniel Johnson, Mayor of Montreal Jean Drapeau and General Commissioner of Expo 67 Pierre Dupuy. In 1981, Johnson was elected as Liberal Member of the National Assembly of Québec for the riding of Vaudreuil-Soulanges. 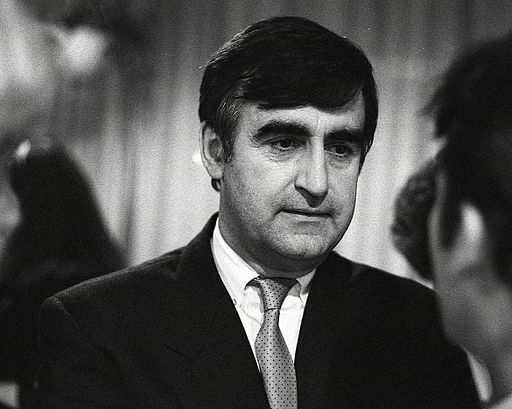 In October 1983, he ran for the leadership of the Quebec Liberal Party following the resignation of Claude Ryan, but came in third after Pierre Paradis and Robert Bourassa. Johnson was returned to the National Assembly in the Québec general election of 1985, which brought Bourassa and the Liberals to power. Premier Bourassa appointed Johnson Minister of Industry and Commerce as well as Deputy House Leader, a position that he held until 1993. In 1988, he left the Industry and Commerce portfolio and became Minister Responsible for Administration and President of Treasury Board, positions that he held until October 1989 and January 1994, respectively. After his re-election in 1989, he became Minister Responsible for Administration and the Public Service. 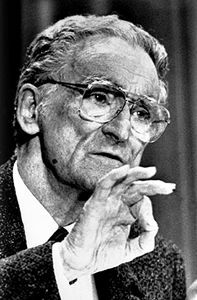 After Bourassa resigned on 14 September 1993, Daniel Johnson Jr. was elected leader of the Quebec Liberal Party by acclamation on 14 December 1993 and sworn in as premier of Québec on 11 January 1994. Bourassa had left his party trailing the Parti Québécois in the polls, and a general election was to be held before the end of the year. Johnson proved a competent premier, but the Liberals lost to the Parti Québécois, led by Jacques Parizeau, when this election was held on 12 September 1994. Johnson kept his seat in the National Assembly, became Leader of the Opposition and served as leader of the “No” camp, which won a slim victory in the referendum on Québec sovereignty on 30 October 1995. But once Lucien Bouchard took the helm of the Parti Québécois, the fortunes of Johnson’s Liberal Party began to decline, and it had little hope of returning to power. On 2 March 1998, Johnson announced his intention to resign both as Leader of the Official Opposition and Member of the National Assembly, and on 12 May 1998, these resignations took effect. Jean Charest succeeded him as Liberal leader. In June 1998, Johnson joined the law firm of McCarthy Tétrault as legal counsel. 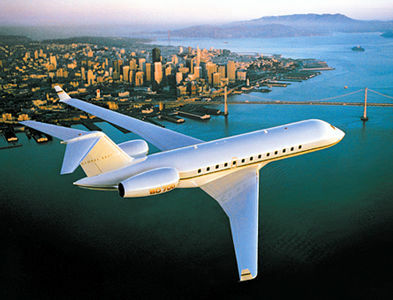 Over the following years, he also served on the boards of directors of numerous financial institutions and other businesses, including Bombardier Inc., the Investors Group, IGM Financial Inc., Mackenzie Inc. and Ezeflow Inc. In November 2003, along with Brian Mulroney, Johnson was appointed by the Québec government to co-chair the Commission that it had formed to analyze plans for establishing the Centre hospitalier de l’Université de Montréal (CHUM) and the McGill University Health Centre (MUHC). From 2008 to 2013, Johnson served as one of the directors of the Bank of Canada. He was the negotiator for the government of Québec in the dispute between Canadian National and Canadian Pacific from November 2011 to June 2013. In February 2015, he became Chairman of the Campaign Cabinet of CHUM. 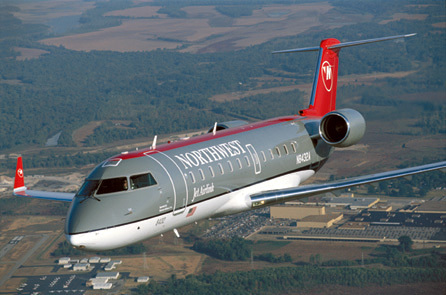 Since 2016, he has been Chairman of the Board of Directors of the C Series Aircraft Limited Partnership. He is currently the honorary consul of Sweden in Montréal, a position that he has held since 2002. Daniel JohnsonA biography of Daniel Johnson, former premier ministre (premier) of Québec (in French). From the official website for the premier ministre du Québec.